Making a customer service call to resolve an issue can be a real drag. You know the drill: you wait for umpteen minutes for the next available representative as precious moments of your life tick away. When someone finally gets on the line, you may get the run-around, a rep with an attitude, or a transfer to customer oblivion. Who has time for that? Maybe that’s why artificial intelligence, also referred to as AI, has worked so well for situations like this. Artificial intelligence (AI) is the term that refers to machines that replicate human functions like learning and problem solving. Don’t worry; we’re not in a Will Smith “iRobot” circumstance, where the machines get so intelligent that they outsmart humans and turn on them. Well, not yet anyway. But you may find yourself speaking to a machine the next time you call for a customer service agent. It understands human speech, so an automated voice will ask you a question, and based on your response, it figures out how to best serve your needs. 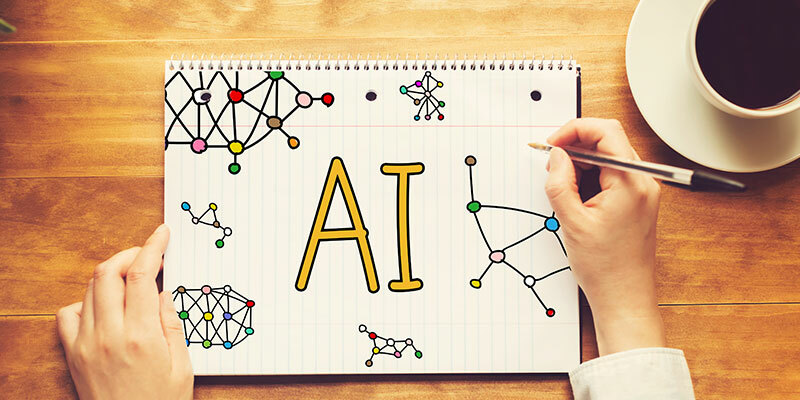 At SWBC, we see how AI technology is revolutionizing the customer service industry, making communication easier and speedier for customers and businesses. There aren’t enough humans to field the hundreds of calls that some companies receive in a day, so artificial intelligence is an ideal way to accommodate inquiries, questions, and concerns. Right now, businesses are using AI in two ways: as a conversational computer program that interacts directly with a customer without human intervention and as technology to support a human customer service representative. Currently, SWBC uses AI in conjunction with our lender-placed and insurance tracking processes. Our intelligent virtual assistant (IVA) is named Emily, and she's almost five years old. We've trained Emily in much the same manner as we educate our newly hired customer service representatives: we provide her with knowledge about our service and deploy natural language recognition to interpret the questions users ask in a chat bot window. Emily's "do not know" rate is about 5%, and she refers those users to our call center or a live chat session with a human representative. Last year, Emily handled almost half a million conversations, saving SWBC hundreds of thousands of dollars annually. Emily's not perfect. She lacks some human characteristics needed to handle situations with instinct and good judgment. There are pros and cons to using both AI and humans for customer service. Here's why AI can get both a thumbs-up and a thumbs-down. Using artificial Intelligence doesn’t require the salary that an agent would need. You may need to pay for customer support, but it will be a lot less costly than paying an agent. AI never needs to take time off. It can work morning, noon, and night, even on holidays. It doesn’t get tired like human beings, so you can use it anytime and all the time. With each day, these machines become smarter and get better at solving problems, just like humans do. AI systems are not inconsistent like humans. Humans get overwhelmed, stressed out, and in need of breaks. AI systems never stop, and they perform at the same level all day, every day. They don’t become ill-tempered or obnoxious, so there's little risk of a customer complaining about a rude agent. There’s no guarantee that your business data will be 100% secure, but you may have better luck trusting an AI system than a human being. Customers sometimes want to talk to someone they can appeal to, a human being who can understand and sympathize with their situation. AI systems can’t give a caller that type of customer care. An AI system can become expensive to maintain if your business relies on another company’s software for AI support. SWBC has trained employees to monitor Emily's conversation traffic in order to make "tweaks" to her knowledge set, to better serve our clients' customers. Machines react to criteria with programmed responses. They’re not able exercise a sense of judgment like human beings. This can present a problem when machines have to deal with situations they are not programmed to handle. Machines can solve problems, but they lack creativity, which is one major characteristic that separates them from humans. Artificial intelligence (AI) may be a little too sci-fi for you right now, but this science is real, and it's likely you'll be using it soon for tasks like customer care (billing, address changes, payments, etc.) and answering product questions. Of course, there are pros and cons to everything. If you consider AI in the future, maybe you want to use a combination of AI and human support. Ah, technology, what will they think of next?